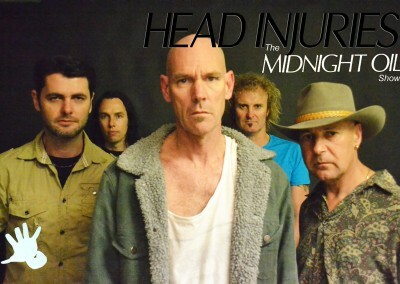 Since the late 1970’s the Australian powerhouse band MIDNIGHT OIL have been pounding the live music scene with high energy performances that have kept audiences spellbound with their raw power and manic shows. 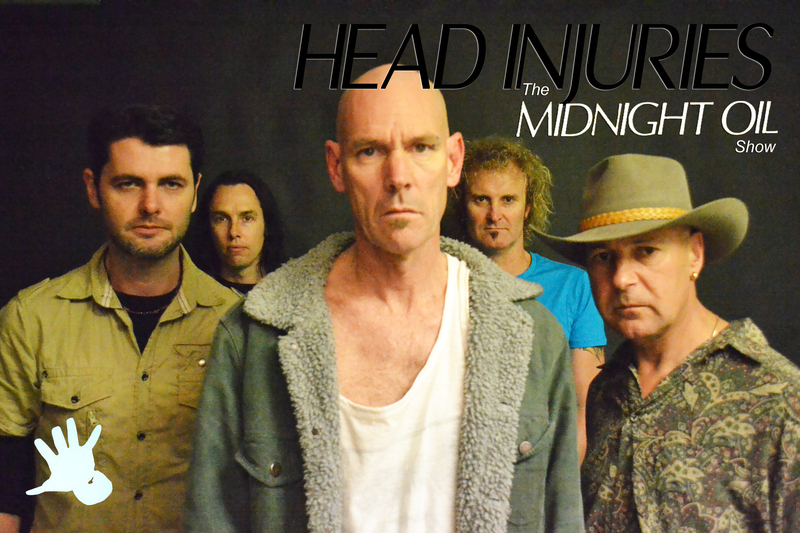 Once again you can experience the incredible live MIDNIGHT OIL energy with HEAD INJURIES – the MIDNIGHT OIL show. With a band full of seasoned professionals and only one thing in mind … and that is showcasing the electrifying experience of a MIDNIGHT OIL gig, this show will leave you gasping for air and screaming for more. Just like THEY always did.